Tens of billions of dollars that actually belong to ordinary people like you are being held by the government - quite legally. Some of it may be yours or may have belonged to a relative of yours who has passed away. Without spending a dime you can find out how to find unclaimed money - you do not need anyone to help you for a fee! January 2019 You’ve heard a lot about phone call scams and we hope you have read our review of them and how to handle them — and what to do about it.I f not please check out Free Money Phone Call Scams now! Now you have to worry about fake letters too, this time about “unclaimed money” that belongs to you. The sneaky part is that the scammers send a letter on FAKE letter head of the National Association of Unclaimed Property Administrators. These letters are totally bogus and you should NEVER send them any money in order to get your alleged unclaimed property. Also beware if you get a similar message over the phone. You can easily do your own searches for unclaimed money in your name — and it’s totally free. Use the strategies and tactics in this article and get your own (free) search going! Do you own mutual funds? Apparently you may be more in danger of those funds getting turned over to your state than you or with other accounts. This is most likely because after a certain time period of no activity funds must be turned over to states, and you may not think to contact your mutual fund on a regular basis. It’s a good idea though, even if you’re just checking on a balance and not necessarily requesting a withdrawal. And you don’t have to make a phone call. It should count as contact if you log in online to make your request or review a balance. Also be sure the fund has your accurate address as accounts must be turned over if a letter or notice is returned with no forwarding address. Unclaimed Money in Louisiana Do you like to do things like head to New Orleans for Mardi Gras orother big events? Have fun and keep your eye on your wallet - big crowds and plenty of alcohol can be jackpots for pickpockets. If you live in Louisiana or ever have, and you’d rather spend your time and energy bringing in some extra cash, try looking for unclaimed money that is rightfully yours! The state of Louisiana held (and making money off of!) more than $96 million in unclaimed property - much of it cash - in the 2015-2016 fiscal year and adds about $87 million each year.. Only about a third of it has been returned to owners. It’s never too late to claim yours: the state’s Unclaimed Property Division says they return money all the time that they’ve been holding for twenty years! States Profit from Unclaimed Money – Maybe Yours! We've mentioned that the states are holding billions of dollars worth of unclaimed money. But did your realize they are sitting on – and earning (lots of) money from $60 billion, according to Money Magazine? With budgets under pressure it's got to be pretty tempting to spend the least amount of effort trying to find rightful owners. So it's up to you to take the initiative and do some searching – beyond just going to one web site. Maryland is one example of a state doing something to try and find the rightful owners of more than $1.5 billion they are holding in unclaimed property. While most states have sites where you can search for your name, Maryland does a yearly update of their list of unclaimed money and items and you can also search your name. They offer a toll free number for help if you do find something in your name or someone in your family. They also use newspaper advertisements and videos on the web along with mailing, news campaigns and other programs to be proactive in finding owners. That is refreshing given the amount of money most states are earning by being more passive about finding owners of this property. Tempted by the Free Money Book? Maybe you've heard people talking about it but does it give you anything you can't find for free? Perhaps. First take a look at our review and you can determine whether it's right for you (we could save you some money!) And if you do decide to get the book, it appears that it's safer to buy it from Amazon than to order in response to an ad…. Don’t pay for an unclaimed money search. It is exciting to know there may be some money out there that is rightfully yours. The additional good news is that your search for unclaimed money should be free. With only one exception that we know of, the sites where you are most likely to find your money do not charge you to search. You do not need to pay a search agent a fee—which can be as much as 70% of any money they find for you, with cash sometimes required up front! So regardless of how slick their pitch may be, or how convincingly they claim to have “secret” sources, don’t fall for it. Get creative with your name. The start of your search on most sites will be entering your name. Before you begin your search, sit down and make a list of every possible variation of your name that you can come up with. Start with your first and last name, then add your middle initial, then use just your first initial and then your first and middle initials along with your last name. Misspell your name in many different ways. This may sound like a bother but it really won’t take you that long and could be worth some cold hard cash. Get family or friends involved and make a game of it! When you go to do your search, try each variation individually and keep a record of which sites you have searched the names you searched. This list will come in handy not only for keeping track of your progress now but also when you repeat your searches every three to six months. Unclaimed Property sites are updated regularly so don’t do your searches just once and forget about it. 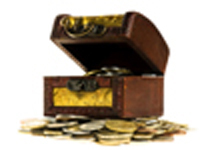 Unclaimed Money for Businesses: What about unclaimed property for businesses? Actually this is an interesting case: in many states they do not benefit from unclaimed property laws. States claim that business entities don’t need the same type of protection as individuals. They assume that a business should be in a position to make sure that they take care of their rights to property so taxpayers shouldn’t have to pay to protect them. So if you’re a business owner, be sure you are tracking all your property diligently. Laws vary widely from state to state, so you may want to check and see what the case is where you live. Start with the States. Most unclaimed money is held by individual states. These funds include (but are not limited to) things like old apartment or utility security deposits, forgotten bank accounts, dividend checks, uncashed insurance policies, abandoned safe deposit boxes, shares of stock, and much more. Each state has its own department that handles Unclaimed Property (Property in this case means money!) — you can find any state’s site simply by searching the term “unclaimed property” and the name of your state. Or go to the free website unclaimed.org (be sure you use .org, not .com!) and you will find a link to the appropriate department for each state. Don’t limit your search only to the state where you now live — you want to search every state where you have lived in the past, even briefly or while on military duty. A number of states plus Washington DC can be searched at once on the free website missingmoney.com, but be sure to see our review of missing money.com and what's really behind it first! Start with a search for lost or forgotten U.S.Savings bonds by visiting the U. S. Treasury Department’s “Treasury Hunt”. Just go to treasurydirect.gov and, under Individuals, click on “Check Treasury Hunt to see if you own matured savings bonds.” If you find your name (or a reasonable variation of it) you can fill out a form that is on the web and mail it to the address provided. If you are the heir of a person who originally owned the bond you will have to provide that person’s social security number as well as legal documentation of your relationship. If you had an account in a bank or credit union that failed, you can check the appropriate insuring agency to see if they are holding the money from your account. Go to fdic.gov for banks and ncua.gov for credit unions. If a company that owed you a pension went out of business you can look for your money by searching the Pension Benefit Guaranty Corporation (PBGC) at pbgc.gov. Be sure that you worked for a private company and that you participated in a “defined benefit” plan — i.e. one that promised a monthly payment amount. If you were due a tax refund that you never received just go to irs.gov and click on “Where’s my Refund?”. You’ll need to provide the dollar amount of the refund as well as your social security number. If you think you are the beneficiary of a lost insurance policy and you didn’t find it in your search of state Unclaimed Property departments, there is another option. It's the only one on our list that does charge a fee ($75) for a search. Learn more at policylocator.com. Do It All Again! Keep notes, mark your calendar, and do it all again! These databases get updated regularly and sometimes frequently. So if you don’t find anything the first time, try try again. Some folks recommend searching quarterly; at a minimum do your search at least once a year. Make it a birthday tradition and good luck! If you're in a cash crunch and need to raise some money quickly, check out our ideas at Grants to Pay Bills. If you are not looking for a grant or a one-time source of funds but are in need of assistance from the government, see our article on Federal Aid.